Are you looking for a new southwest dentist Houston TX? Finding a new dentist can be difficult, especially for those who have dental anxiety. It is common for people to feel nervous before visiting the dentist. Some people feel more worked-up about dental trips than others. These anxious feelings can happen for any number of reasons and may be hard to ignore. Regular trips to southwest dental locations are important to your overall health. Even if you struggle with dental anxiety, it is crucial that you attend often. Thankfully, there are a few steps you can take to ease the anxiety you may feel about visiting a dentist. Keep these suggestions in mind as you look for your new clinic. They will help you feel more comfortable with the clinic you choose. Studies show that patients who feel comfortable with the clinic are more likely to make and keep regular appointments. If you are in the Houston area, you can contact Marquette Dentistry. They have a model of patient care that is perfect for those with dental anxiety. Marquette Dentistry prides itself on treating all patients with respect and compassion. They have friendly staff members reading to help you get the southwest dental care you need. You can visit Marquette Dentistry online at http://www.marquettedentistry.com. You can also contact them by phone by calling 832-786-4406. Find a clinic that puts patient care first. This is the best way to feel at ease with your southwest dentists in Houston. Figuring out how a clinic will treat its patients is relatively simple. Take a look at their website and examine the language used. Look for words like “compassion” and “respect.” Clinics that value their patients will want them to feel respected and cared for well. You can also tell a lot about a clinic by the way they treat prospective patients. Give them a call or contact them online if you have questions or concerns. Be open about your fears or anxieties and ask about their experience with other similar patients. Clinics that respond with concern and empathy will provide excellent patient care. Avoid the temptation to book online without speaking to a staff member. Altering staff to your fears is a great way to learn new ways to overcome them. Patients looking for a caring, compassionate clinic should call Marquette Dentistry today. You can contact Marquette Dentistry by calling 832-786-4406. They have many years of experience providing high quality dental care to patients across Houston. Marquette Dentistry has a staff of friendly employees, ready to help you with all your dental needs. They know that dental fears can happen and want to do their best to help make your experience pleasant. If you experience dental anxiety, finding one dentist you feel comfortable with can be very difficult. Minimize the number of southwest dental locations you need to find by locating a clinic that offers many services. It is easier to feel at ease with a clinic if you visit the same one for multiple dental needs. You will get to know the clinic staff well. Familiarity will help you feel less anxious with each visit. Using one clinic for multiple dental needs has benefits for your oral health as well. All your dental records will be at one location. This means that even if you see a different dentist, they will be able to share your information. As a result, your dentist may be able to identify potential issues sooner. The staff will get to know you better too. This will also add to your comfort while at the clinic. Marquette Dentistry is happy to offer their patients a broad range of services. They offer routine procedures such as cleaning and examinations. Marquette Dentistry also offers more complex dental work like alignment, crowns, and root canal treatments. 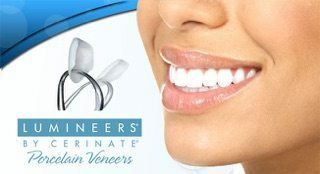 You can learn more about their range of services by visiting them online at http://www.marquetedentistry.com. New and returning patients can also contact them by calling 832-786-4406. Marquette also has a VIP Program available for all their patients. Enrollment entitles patients to exclusive pricing and deals on many dental services. This can help make dental care affordable, even if you do not have insurance. The saying “knowledge is power” is more than just a cliché. When it comes to dental anxiety, knowledge can make a world of difference. Understanding the type of southwest dental care you need can go a long way. The root of dental anxiety for many patients is a fear of the unknown. Dental procedures can seem mysterious and painful. Demystifying each procedure you need will help you understand it better. For example, patients often fear root canal procedures. They may believe that the root canal is a long, painful surgery resulting in lengthy recovery. In reality, this procedure is painless with a relatively short recovery period. Learning more about these types of procedures will help you feel more comfortable with scheduling your appointments. If you have questions or concerns, ask your dentist. They can give you more information about the specific procedure you need. This knowledge can help clear up myths or misconceptions you have about dental work. It can also help you feel more confident about booking an appointment. Patients looking for information on routine dental procedures can contact Marquette Dentistry. The friendly staff members at Marquette are happy to give you accurate information about your dental needs. You can contact them by calling 832-786-4406 or by visiting http://www.marquettedentistry.com. Dental anxiety is a very real fear many patients experience. Coping with this type of anxiety is difficult. It can be easier if you spend time finding southwest dental care you can trust. Learning more about each dental procedure you need will also go a long way. It is possible to find a clinic that provides compassionate, respectful dental care. Marquette Dentistry has many years of experience providing Houston residents with high quality dental care. They treat all their patients with dignity and respect. You can contact Marquette Dentistry with any questions or concerns by calling 832-786-4406. New and returning patients can also find them online by visiting http://www.marquettedentistry.com. If you are looking for the best southwest dentist Houston TX, look no further than Marquette Dentistry.